The weather outside.... isn't frightful! In Ames yesterday we had a sudden change in weather which mean't I ditched the winter coat and snow boots for a much needed change in style. 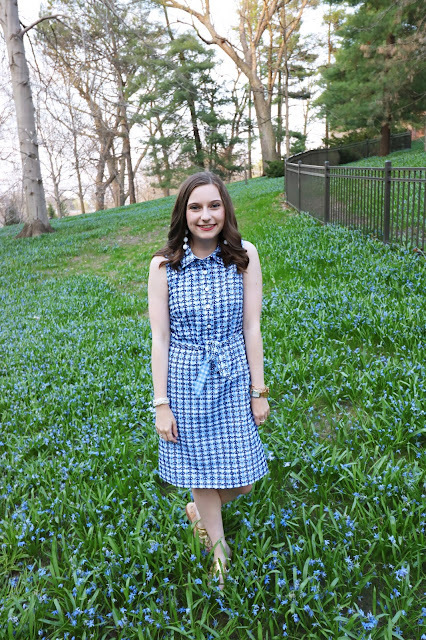 My outfit included a new purchase from the Gap factory store. 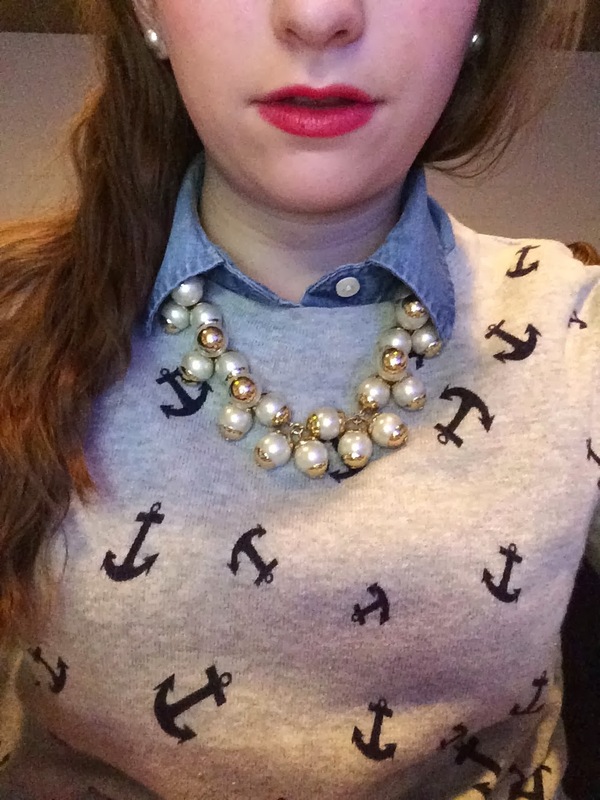 I am loving this anchor sweater! 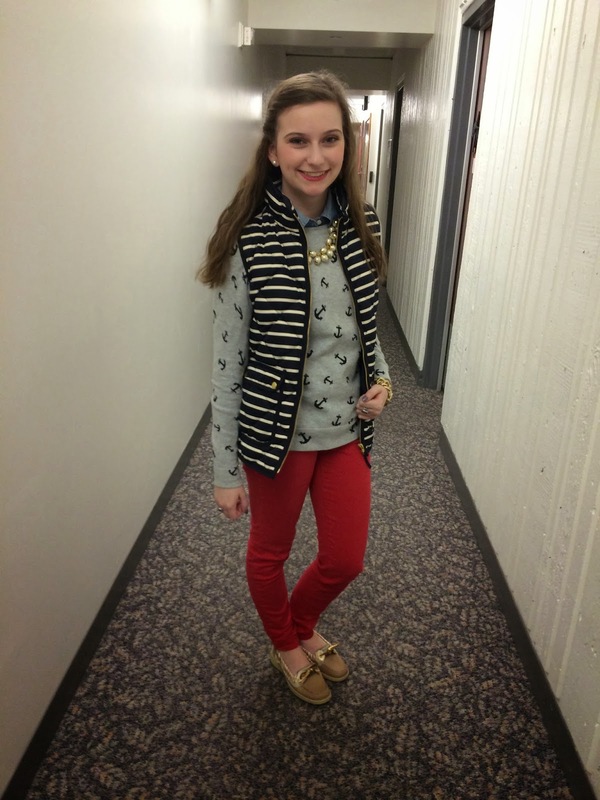 Not only is it preppy but it is super classic and a great layering piece. 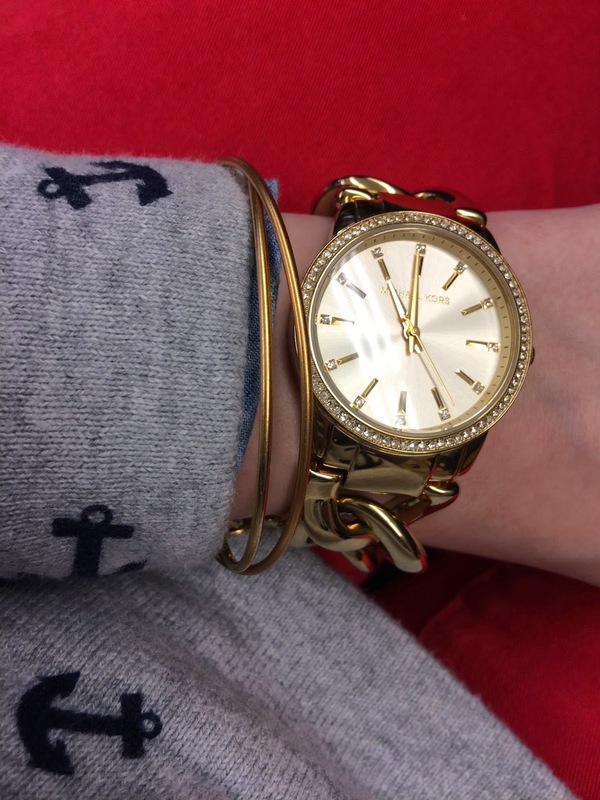 It features navy anchors and is super adorable! 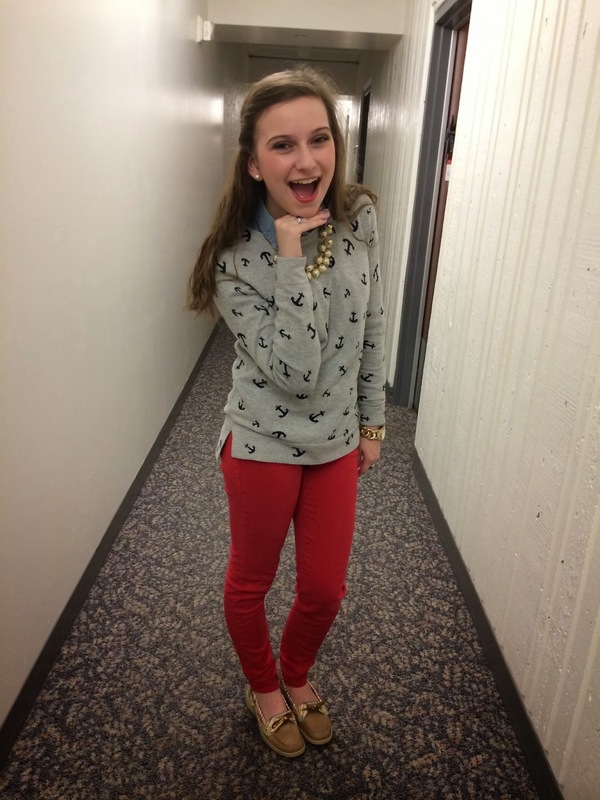 It was on sale for around $25 which was a great steal for this sweater. 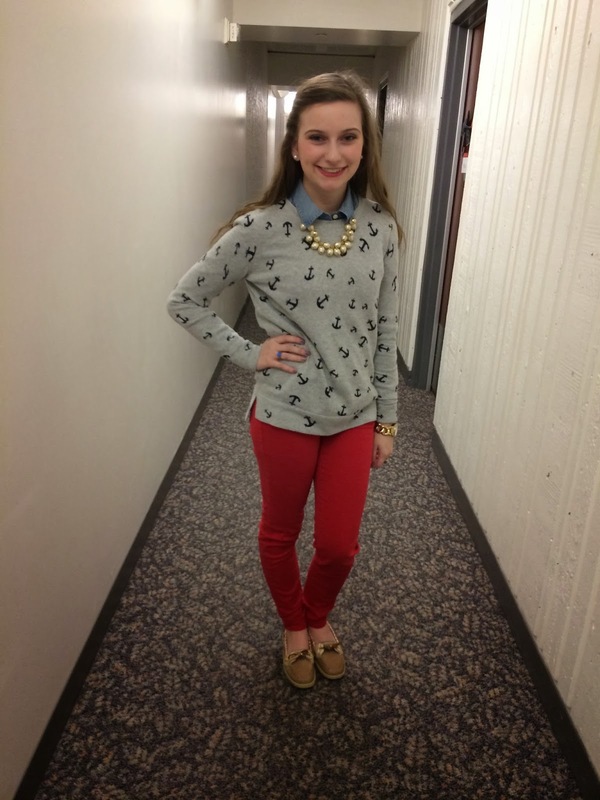 I paired the sweater with a simple denim button down. It creates a fun and classic look. 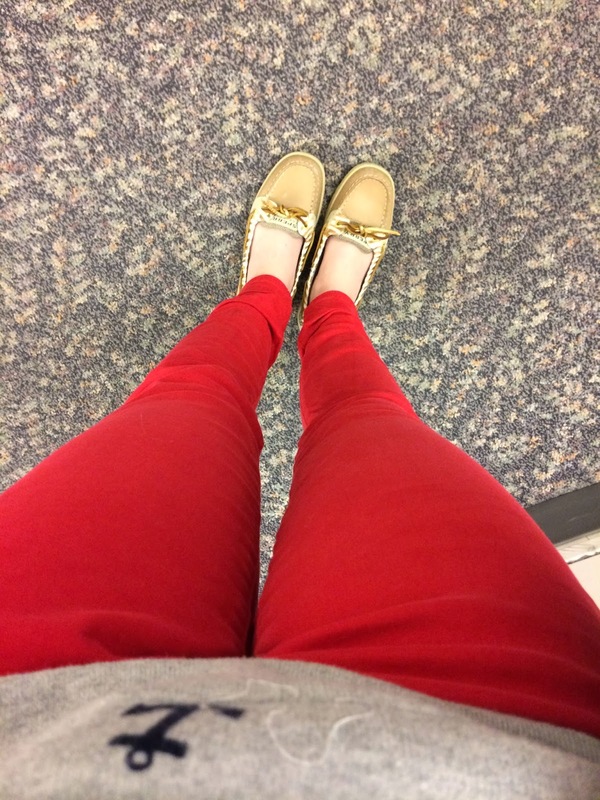 To add some color I wore a bright pair of red jeans. 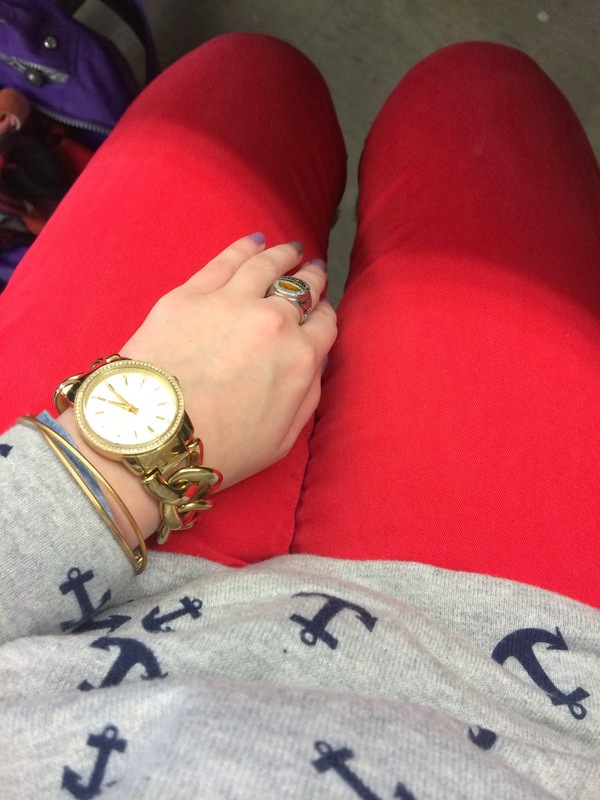 This adds to the overall nautical theme of the look. For accessories I wore my favorite pearl necklace and earrings. 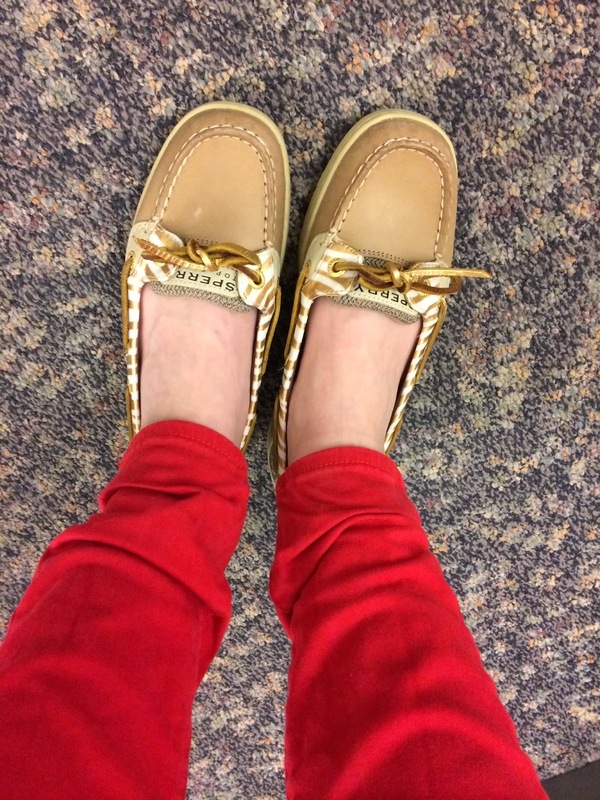 To finish the look I wore my new Sperry's that I purchased recently.